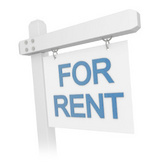 Rainbow Rentals Inc is a leading company that primarily operates in the Rental & Leasing industry. Rainbow Rentals Inc engages in the renting and selling of home electronics, appliances, computers and furniture to its clients who mainly are the general public. The bulk of the products that Rainbow Rentals Inc engages in include furniture and home electronics. Rainbow Rentals Inc operates more than 125 stores under its trade name in North Carolina, Massachusetts, New York, South Carolina, Michigan, Ohio and Pennsylvania. Rainbow Rentals Inc was founded by Wayland Russell in 1986.and it is headquartered in Canfield, Ohio. There are currently 0 consumer reviews about Rainbow Rentals Inc available. Share your review. Please take a note that you are about to post a public review about Rainbow Rentals Inc corporate office on CorporateOffice.com. This review will be public, so please do not post any of your personal information on this website. If you would like to contact the corporate offices of Rainbow Rentals Inc, please use their contact information such as their phone number, website, and address listed above to contact them. However, sometimes staff from Rainbow Rentals Inc headquarters do read the reviews on this website.